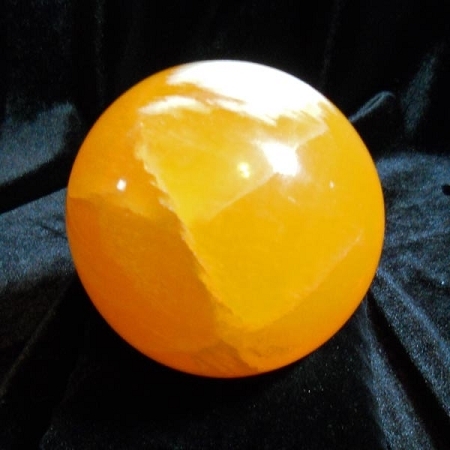 A more common version of Calcite is referred to as Orange Calcite, which is also a deeper yellow, excellent for children who seek joy and companionship from their peers. Yellow, orange, or honeycomb calcite emits warm sun-like joyous energy. Its presence stimulates a bright and friendly environment. As yellow is also the color of the mental plane, it can help one be playfully imaginative in the creative realms. Yellow lifts the spirits.